What do you mean “what to buy”??? Just go find some sporty athletic shoes that say something about running on the label and you are good to go. What’s so hard about that? If you have read my other articles you will know that I don’t follow traditions or recycle old wives tales. Just because you can find the same advice 99 times on Google, it doesn’t mean it’s correct. If I don’t experience it first hand or can find a quality study or two to support it, I consider it rumor not fact. If you disagree with these, tell my why in the comments. Tip #1: Expensive shoes are just expensive. Believe it! Over the past decade running shoe prices seem to have been on a skyward trend. Sure manufacturers have R&D costs to cover when they create their shoes and creating new lasts (the form for the shoe) or using newer material technologies costs more than re-using existing ones but that doesn’t make a new shoe cost its weight in gold by itself. Marketing is the main driver of cost. Even if a cost+profit margin equation spits out a $40 retail price for a pair of shoes the marketing department doesn’t care. What matters is which shoes on the market was this shoe created to compete with. If the competitions’ similar shoes are $120 you can guarantee that the $40 shoe will be priced at $119. What does this mean for you? It means that you can ignore the price when you start looking at shoes. The price is rarely indicative of the quality and technology and it definitely isn’t going to tell you if it’s the right shoe for you. Tip #2: The shoe you need is the shoe that works for you. Tip #3: Avoid putting on weight. When you pick up the shoe for the first time does it feel like you are lifting a six pack or an empty can. The lightest shoes aren’t necessarily the best but the heaviest shoes should be avoided. Think of it this way. If you put steel wheels and 7-ply tires on your car, you are forcing your car to work harder to go the same distance. It’s the same for your body: your knees and legs will not be happy. Fortunately, even if you are buying shoes online you can easily find out how much a shoe weighs and compare that number against others. The toe box is the area of the shoes where you put (you guessed it!) your toes. Too many people buy running shoes that are too tight but tell themselves that they’ll break in. NO!!! Modern running shoes don’t break in. They either fit correctly or they don’t. The toe box dimension is a factor of both the design of the shoe and the sizing. If you find a pair of shoes you like but it’s slightly too tight around your toes and to the left and right of the ball of your foot, try the next size up. More about this below. Some shoes are notoriously narrow and some are designed to be very wide in the toe box area. Shop around. Your toes shouldn’t be anywhere near the front of the shoes and your feet should sit comfortably on the footbed without feeling like they are sitting in a vice. Also, make sure you stand up and walk/run around before deciding if it is too tight or too lose in this area. Without all your weight pushing down on the shoe you can’t make a decision. Those of you with ankles that seem to be half-way up your legs will never have to worry about this but for the rest of us: pay attention to what your ankles are saying. If you feel the mouth of the shoe (where you stick your foot in) rubbing against the side or bottom of your ankle bones (medial malleolus or lateral malleolus) don’t buy the shoe. Some shoes have low mouth openings and some have an odd shape (like many Brooks models) so pay attention. Tip #6: Watch out for heel slip. The right shoe for you will lock your heel in place without rubbing. Sometimes you need to lace your shoes using the second hole along the mouth of the shoe (SURPRISE! That’s what it’s for) or use the slightly more advanced heel lock lacing in order to get a really snug heel fit. However, if you try these additional steps and your heel still slips then try different shoes. You will see this term thrown around with a number assigned to it expressed in millimeters. You will also come across the term “zero drop” or “low drop” but don’t panic. This simply refers to the height of the heel compared to the ball of the foot, typically 0-12mm. A zero drop shoe has a heel that is no higher than the rest of the shoe. A 12mm or higher drop has a built-up heel. Why is this a thing? Who cares what that number is? Well, you might. Up until the early 1980s most shoes has a low heel drop and all runners were happy, there was peace in the world and gas was cheap. 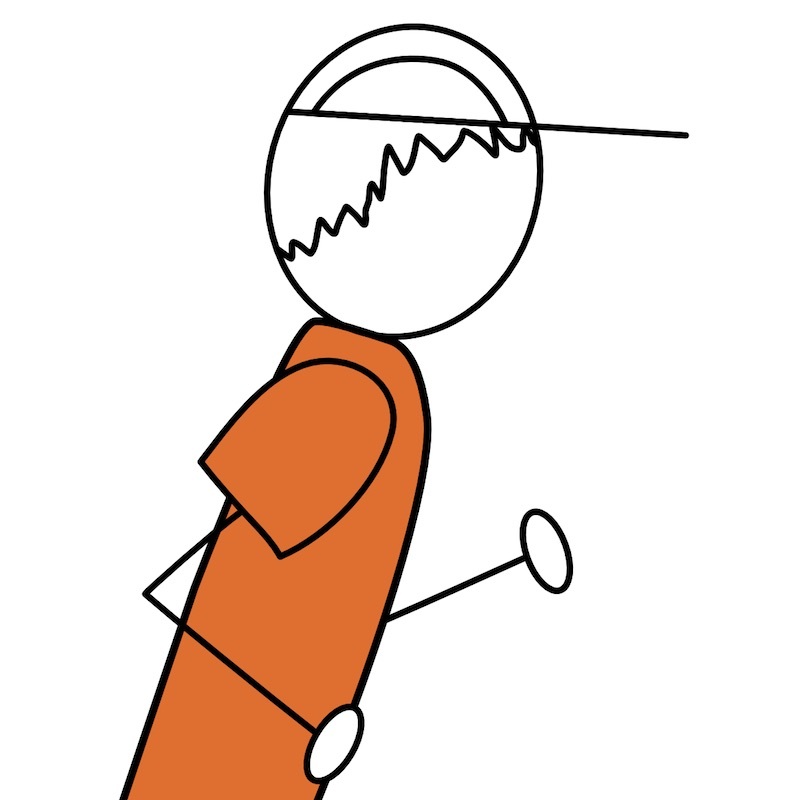 However, some runners weren’t happy and complained that their heel/knees/hips/backs hurt when they ran. 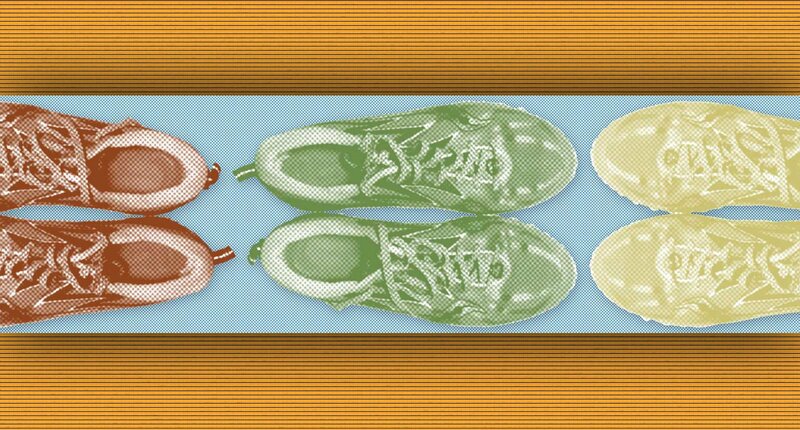 So, inspired by the success of the Cold War nuclear arms race, shoe companies began throwing more padding under the heel of all their running shoes so that heel strikers who seemed to complain the most about the pain would love them and pay lots of money for shoes. However it didn’t work, hence the Cold War analogy. The pain was still there and because the high heels on the shoes encouraged a lot of runners to heel strike who didn’t before, the complaints became more widespread. Some years later some people smelled a rat and began running barefoot or cutting off the raised heel from their shoes and found that some of their problems went away. Then came the book “Born to Run” in 2009 and the zero or low drop craze took off alongside barefoot running. In this enlightened era you have to freedom to be completely confused about what you should buy. Here’s my advice. The 12mm drop (or more) shoes haven’t been great. I gave them up years ago and have been very happy. 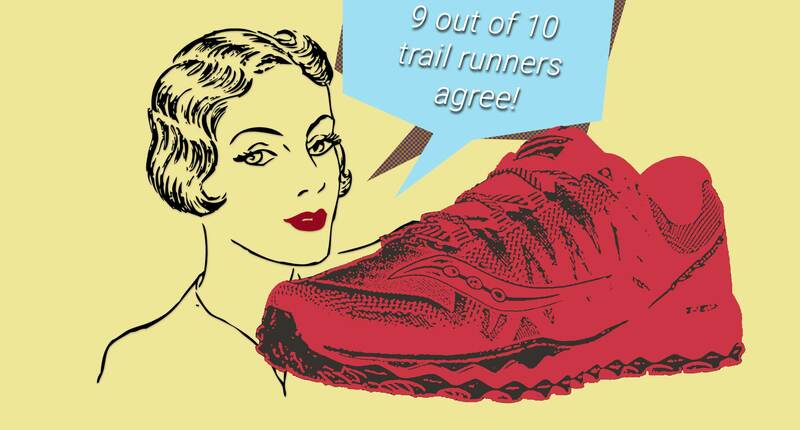 Don’t be obsessed with the heel drop number but avoid buying anything over 8mm for running. Try to find 4mm or lower if you can. I’ll go into more detail in a future article so stay tuned. Tip #8 Don’t be a slave to your shoe size. I’ll admit that I was a shoe size slave for years. At some point in my life someone told me that a men’s 9.5 (42 Euro/26.7cm) was the shoe for me and I doggedly stuck to it. If I tried on a shoe that didn’t fit in a 9.5 I moved on. I probably missed out on a lot of great shoes and I know I suffered through some that just weren’t right even though the matched the magic 9.5 number. It’s not unusual for experienced runners to buy shoes that are a whole size or more larger than what they normally wear in a street shoe (equal to moving up to a 43 Euro/27.3cm). With a larger shoe size you not only get more room and length but the shape can be different enough that it makes a badly fitting shoe perfect. Tip #9 Pay attention to your socks. Raise your hands if you thought that all running socks were created equal. Hmmm. Thought so. These aren’t your stinky off-white gym socks. Socks are a secret way to get a perfect fit for a shoe. With the correct shoe size and design you can get 90% of the way there. Socks can do so many things for you. They keep your foot cool or warm, they act as buffer between your skin and potential hot spots inside the shoe (like seams or any place that might rub), they can act as a little more cushion for your soles (but not much) and most importantly they can act like expandable foam in a fragile package. I have an entire article dedicated to choosing socks but it’s suffice to say that taking both a lightweight and mid-weight (or even thicker hiking sock-weight) socks with you when trying on running shoes gives you an opportunity to try for a perfect fit before you buy. But, before you go running off waving your socks at the shoe salesperson, checkout tip #5. Tip #10 Lacing your shoes is like tuning a muscial instrument. It’s rare that I leave the laces as-is on a new pair of shoes. There’s usually something I need to adjust even if it’s just moving the last eye as I mentioned in “Heel Slip” above. The right lacing pattern can help solve problems with a heel that slips out, numb toes, a tight toe box, numbness or pain on the top of you foot, arch pain and probably a few other problems that I have blanked out over the years. Check out this nearly-definitive guide to alternate shoe lacings. Along with the right socks, a different lacing pattern can help turn an okay shoe into perfect match for your foot. For the love of your own personal god, guru or garden gnome don’t buy running shoes at a mall shoe store unless you are looking for a specific shoe. And even then, DON’T. Tip #12 Don’t be a jerk to your local running store. I have never worked in a running store but I have bought from plenty. Most are a tremendous wealth of information about finding the right shoes, local runs, races, running culture, nutrition and rumor. Sure there are a few that are still selling shoes like it’s 1988 but that’s not the point. Don’t be the jerk that comes in and spends an hour trying on shoe after shoe then goes home and buys the shoe they recommended online for less money. If you take their advice, buy the shoe from the store even if it’s $30 more. The extra money you spent was worth it because you didn’t know what you needed and you got the right shoe. Are you a jerk if you have a local running store and skip them completely to buy running shoes online? No way. That’s your choice. There are so many different shoes available that your local running store can’t possibly stock them all. The middle ground is to figure out the exact shoe you want based on your online research, find the best price online, then go to your local running store and ask them how close they can get to the price. They might surprise you.